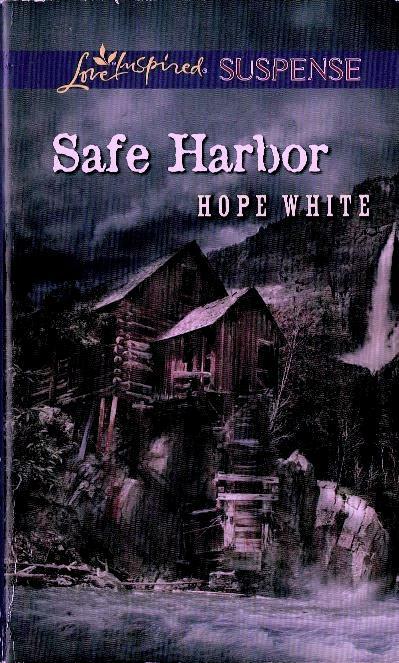 Safe Harbor, by Hope White, from 2013, is a Harlequin in the Love Inspired Suspense line. Love Inspired romances are chaste, with nothing more than a few kisses, and there are occasional references to vaguely Christian faith, expressed as non-denominationally as possible. Love Inspired Suspense adds lots of action, at the level of a cozy mystery. In Safe Harbor, every chapter ends with a cliffhanger, though many of them are red herrings. I suspect part of the reading pleasure is nostalgia, as the pacing and tone is reminiscent of Hardy Boys and Nancy Drew books of the 1960s and 1970s. Nicole overhears a murder on page three, and we’re off. Detective Alex tries to find out what she knows, but she runs off in fear, and nearly drowns. He rescues her, and rescues her again when she is nearly kidnapped in the second chapter. The killer is after her, and Alex needs to find the killer before he gets Nicole (you can read that either way). Nowhere seems safe, and they race from hideout to hideout, dodging bullets, aggressive FBI agents, angry drunks, grieving relatives of the victim, and more. The suspense elements border on silly at times, but the romance grows naturally out of mutual assistance and respect. It’s hastened along by the proximity and danger, though the final obstacle is a simple misunderstanding. The frequency of Nicole in peril is a little tiresome, but eventually she takes some independent action, so there character growth. However, this is a plot based on action, not character. The action plotting is certainly competent. There were no stunning revelations, but it all fit together nicely. Sweet romances sometimes suffer from a curious absence of passion, but here it works, at least in part due to the action that distracts the characters and the reader. As for the religious references, it’s little more than an aspect of character. Reading this book makes me realize that in most romances, no one ever prays or goes to church. Maybe there’s an opportunity there, and one day we’ll see a Blaze Inspired line, where faith and lust co-exist.